For all its wilderness qualities the New Forest is an area that has actually been managed for over a thousand years. Generations of commoners, and their free-roaming ponies and cattle have maintained the landscape and, through their traditional practices, provided for a diversity of plants and wildlife. As a result the New Forest boasts many scarce species and habitats including lowland heath. Lowland heath has declined greatly in extent during the last two centuries – in England it is estimated that only one sixth of the heathland present in 1800 remains. The UK supports about 20% of the lowland heath in Europe and it is a habitat even rarer than tropical rain forest. The New Forest is a stronghold for lowland heath and the numerous highly specialised plants and animals that depend upon this incredible habitat. It is particularly important for reptiles, such as the adder, the rare sand lizard and the smooth snake. A number of scarce birds use lowland heathland as their primary habitat, such as the nightjar and Dartford warbler. Many scarce and threatened invertebrates and plants are also found on lowland heathland. 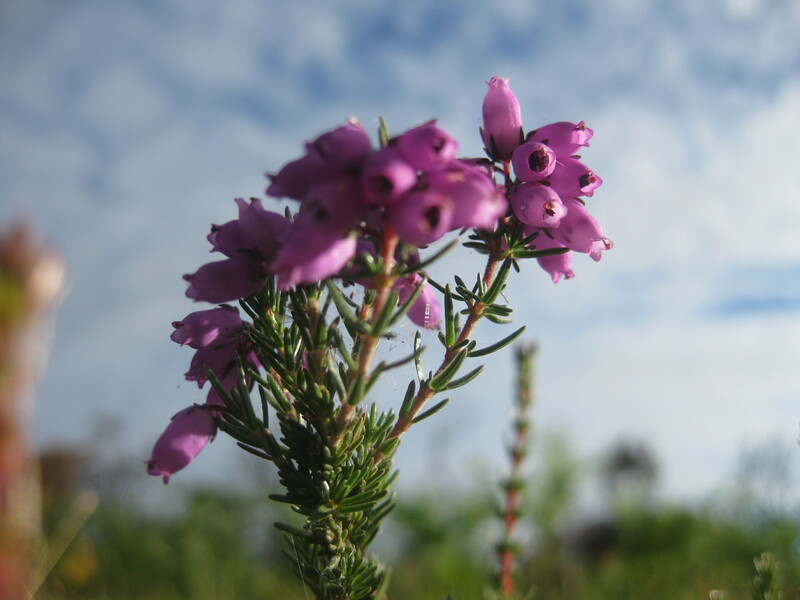 Heathland occurs on acidic, impoverished, dry sandy or wet peaty soils, and is characterised by the presence of a range of dwarf-shrubs, which include various types of heather and gorse. These natural resources have traditionally been harvested and managed by the commoners of the New Forest. Ling heather, particularly, had many uses, such as basket making, brushes and besoms, rope making, bedding, dye, fuel, thatching and wattle. The flowers could even be used to make a satisfying tea or heather ale. Bracken, which is also found on heathland was used for roofing, bedding for livestock or mixed into their feed for bulk. Even the prickly gorse could be harvested with care and was used for fuel or fodder during the hard winter months. It was widely regarded as a medicinal tonic and its flowers could also be used to make a popular variety of wine. Improving standards of living and advances in farming, technology, and conservation techniques meant that the labour-intensive harvesting, predominantly by hand, and ancient land management practices, which maintained the heathland, were no longer necessary. Nowadays the preservation of the heathland continues to rely upon the grazing of the commoner’s animals but regular mechanical cutting of the bracken and controlled burning of vegetation is employed to mimic historical management practices. The free-roaming ponies and cattle prefer to feed upon the younger age classes of heather and gorse, so the management techniques of the heathland encourage new growth, which creates food for commoning stock but is also beneficial to a huge variety of flora and fauna. The utility of the heathland vegetation to the commoning way of life has ensured its survival and along with it the many species of insects, small mammals and birds. 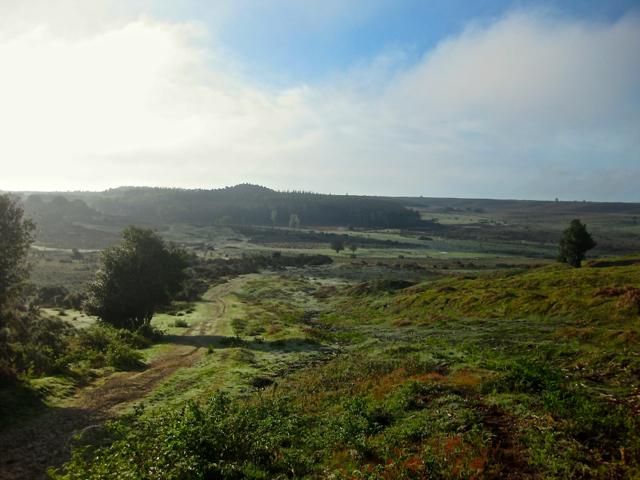 This cycle of management, which has lasted for hundreds of years, if maintained, will offer the New Forest heathland the prospect of relative ecological stability for many more years to come. Heather is one of the dwart-shrubs that typify lowland heathland habitat. This entry was posted in New Forest, New Forest Commoner and tagged adder, bracken, cattle, commoning, conservation, Dartford warbler, gorse, heath, heather, lowland heathland, New forest, ponies, sand lizard, smooth snake. Bookmark the permalink.